The Aztecs had a polytheistic religion which was rich in mythology and rituals. Given the nature of religion, they worshipped a variety of different gods and each god had unique powers associated with him. In addition to gods, there were also goddesses who had power over specific aspects of nature. There were some Aztec gods who were more powerful than the others and then there were many gods of lesser powers. With the expansion of the Aztec Empire, the Aztecs constantly included new gods in their pantheon, absorbing the religious beliefs of the neighbouring city-states. The Aztecs had a few major gods who were more powerful than the rest of the gods and goddesses. One of the most important and powerful Aztec gods was Huitzilopochtli who was also the patron god of the Mexica people. He was also the god of sun, war, and human sacrifice. The Templo Mayor, the most famous of all Aztec temple pyramids, had a temple dedicated to Huitzilopochtli along with another one dedicated to Tlaloc. In Aztec creation myth, Huitzilopochtli was one of the gods who created the world. Another very powerful and important Aztec god was named Tlaloc who was the supreme god of the rains and also the god of water and fertility. There were specific animal forms associated with each Aztec god and the animal form associated with Tlaloc was that of herons and other water dwelling creatures. Tlaloc was also one of the gods involved in the creation of the universe. One of the twin temples on Templo Mayor was reserved for Tlaloc. Quetzalcoatl was the Aztec god of life, wind, and morning star. He was also the god of merchants and of arts, crafts, and knowledge. Like other major Aztec gods, he was also worshipped in the previous Mesoamerican cultures. He was worshipped in the temple at the Great Pyramid of Cholula. 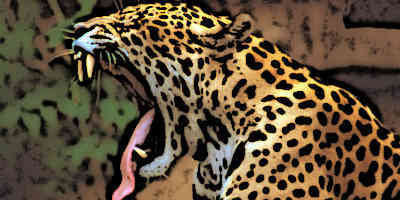 The animal symbols used to represent him included quetzals, rattlesnakes, and crows among others. Like other major gods, rich depictions of Quetzalcoatl in various animal forms existed in Aztec art and architecture. 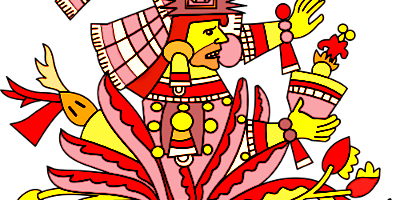 Tezcatlipoca was one of the central gods in Aztec religion and was the shaman god and omnipotent universal power. He was also the god of the night sky, hurricanes, and a variety of other natural phenomena and powers. 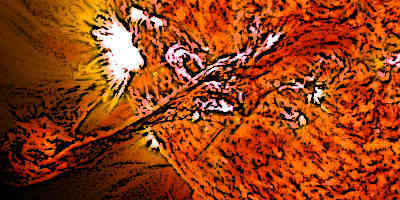 In the depictions of art, he was shown with a black and yellow stripe pained across his face. He was also important for the Aztecs because he was the war god and Aztec Empire was a military empire with very high emphasis on martial virtues. There were many Aztec gods of lesser powers and status. One of these Aztec gods was Xipe Totec who was the god of agriculture and vegetation. 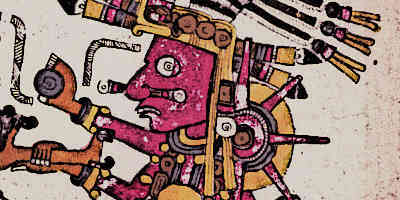 It was also believed by the Aztecs that Xipe Totec invented war thus he connected agricultural renewal with warfare. There was a temple dedicated to this Aztec god in the Great Temple of Tenochtitlan. Scholars believe that this god was worshipped by previous Mesoamerican civilisations and the Aztecs incorporated him in their religion during their conquests. Centeotl was the Aztec god of maize which was the most important food component of the Aztecs. In Aztec mythology, Centeotl was the son of the earth goddess Tlazolteotl and the solar deity Piltzintecuhtli. In the artistic depictions, he is shown as a young man with yellow body. While Centeotl was not as powerful as the most powerful of Aztec gods, he was nonetheless important to the Aztecs. 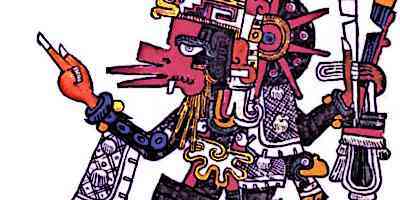 Various myths and rituals revolved around this Aztec god as well. Xochipilli was the Aztec god of happiness, flowers, pleasure, and fertility. Additionally, he was also god of writing and painting. His name in the Nahuatl language literally means “flower prince”. This god also had relation with the psychoactive organisms such as mushrooms, tobacco, and other substances. The status of Xochipilli unearthed on the side of the volcano Popocatépetl near Tlalmanalco represents a figure seated upon a temple-like base. In the polytheistic system of beliefs of the Aztecs, different gods had powers over different aspects of nature and life. Thus, for instance, Tonatiuh was the god of sun and Metztli was the god of moon. Other gods with different powers included Centzon Huitznahua the god of stars, Mictlantecutli the god of the underworld, Patecatl the god of doctors and medicine, Cinteotl the god of maize, Mayahuel the goddess of Pulque and Maguey, and others. 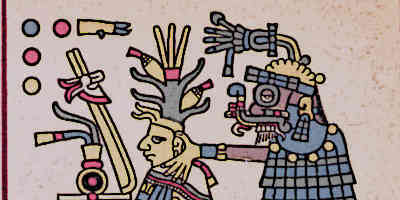 Various kinds of rituals were performed for Aztec gods, in particular the ritualistic human sacrifice and cannibalism. Prisoners of war were mainly used for human sacrifice and thus the empire waged constant battles against other city-states for steady acquisition of war captives. The captives were taken at the top of the pyramids and often drugged in order to reduce their resistance. Their hearts were cut out by the priests and the rest of the body was used in cannibalism rituals. Worship of gods was a regular feature of everyday Aztec life and every house had a place reserved as a shrine for worship and rituals. Priests regularly fasted for gods while fasting was also undertaken by the common people and even the emperor. Frequent festivals and ceremonies were held in the honour of different gods. Other than different kinds of human sacrifice, dancing and use of psychoactive drugs was also a common feature of these religious ceremonies. 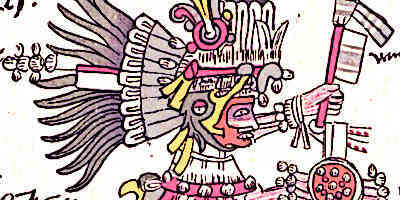 The Aztecs had a polytheistic system of beliefs in which a variety of gods were worshipped, each with his own unique powers. 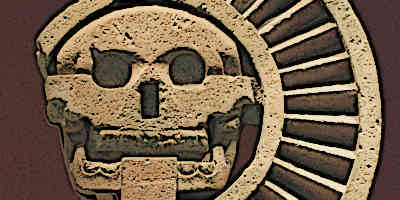 Some of the Aztec gods were more powerful than the others and grand temples were reserved for their worship. As the Aztec Empire expanded and more city-states came into the fold of the empire, the number of gods in the Aztec pantheon increased because gods from other places were also included. Thus many gods worshipped by the Aztecs were actually gods of other cultures and classical Mesoamerican civilisations who were adopted by the Aztecs. Various rituals, including human sacrifice, were regularly performed for Aztec gods.